Lynda Halligan has been working professionally in the entertainment business since she was a teenager. She grew up in Malibu, where seeing celebrities at the grocery store or Little League field was considered relatively normal. At the age of 15, Lynda was approached by a talent manager after performing in a showcase put on by actress Lynda Goodfriend (“Happy Days”). The youngster quickly signed on with her, as well as her first Hollywood agent. Since then, Lynda has made a successful career for herself working in front of and behind the camera. Shortly after graduating from the University of California, Irvine, Lynda returned to Los Angeles and developed a very thick skin assisting a talent agent at the world-renowned Creative Artists Agency. Lynda always says, “If you can hack it at CAA, you can hack it anywhere.” She then spent a number of years casting feature films and television projects starring big name actors, such as Bruce Willis, John Travolta, Christopher Walken, Sharon Stone, Bruce Dern, Chris Farley, Steve Carell, James Woods, Martin Lawrence, Matthew Perry, Jason Alexander, Jane Lynch and Kyra Sedgwick. Lynda later went on to become a talent agent, where she represented both children and adults. An avid writer and entertainment extraordinaire since she was a kid, Lynda decided to put her creative skills to good use and become a television journalist. As a news anchor and host of “Hollywood’s Top Ten,” she interviewed everyone from Hurricane Katrina victims to Senator Bob Dole to Chris “Ludacris” Bridges, but her all-time favorite interview came when she was invited to fly to Florida and sit down with silver screen legend, Burt Reynolds, inside his home for a one-on-one interview. At one point during the lengthy conversation, he stopped everything and told Lynda, “I’ve been interviewed by thousands of reporters over the years… literally thousands… and girl, you really know your stuff!” That was the moment when she finally knew that her virtual volumes of “useless entertainment knowledge” were no longer useless. She will never forget how, after the interview, he took her on a stroll through his makeshift museum of memorabilia pointing out pictures and mementos, and sharing the special stories behind them. Over the years, Lynda has hosted dozens of other projects and infomercials that air all over the world. 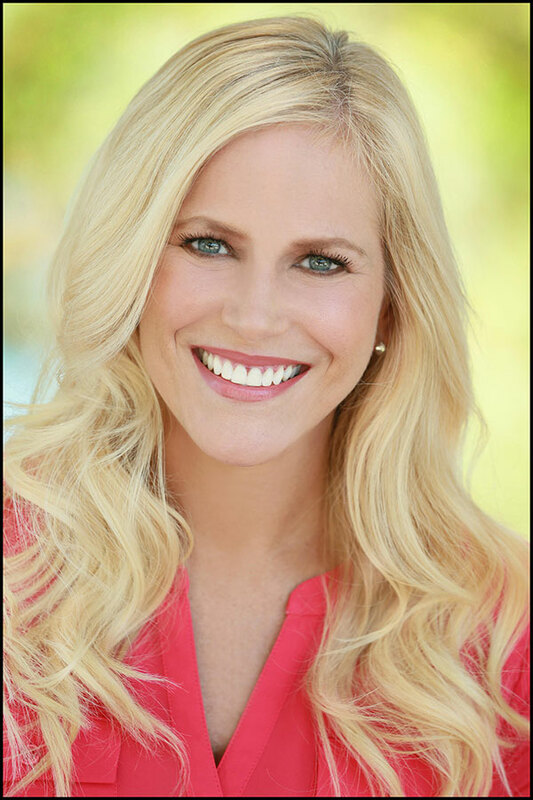 She’s also acted as a spokesperson and voiceover artist for companies, such as Disney and Melaleuca. Lynda has even played a newscaster in a number of films and conducts speaking engagements when she has time. She was booked as a panelist and moderator for two years at the Albuquerque Film Festival and a Q and A moderator at the Atlanta Film Festival. Lynda is currently using her many years of experience as a television journalist and media professional representing the Association of Orange County Deputy Sheriffs. As the organization’s Director of Communications and Public Affairs, she acts as the Editor-in-Chief, head writer and photographer of the Courier magazine, lead administrator on all social media accounts, website director, public information officer, crisis communications point person, video producer, press tour manager, partnership creator and overall media master. Early on in her career, Lynda studied Broadcast Journalism at UCLA Extension and attended the Frank N. Magid Institute in Cedar Rapids, Iowa. Later, while working at KTTV, the FOX affiliate in L.A., she was able to share her extensive knowledge with broadcasting students as a part-time instructor at the Connecticut School of Broadcasting (CSB). She has also taught broadcasting to about a hundred Mandarin-speaking college students visiting from China at Relativity School (now Studio School) in Los Angeles. Lynda continues to work with high school and college students studying journalism, communications and public relations, most recently consulting students at Concordia University in Irvine, California, Weber State University in Ogden, Utah and Norwood High School in Norwood, Massachusetts. When Lynda’s not working on set hosting, in the booth recording voiceovers or creating content behind the scenes, she thrives on providing novices the information she wishes she had received when she was first starting out. BROADCASTING – Halligan Entertainment & Media offers consulting services to news anchors, reporters, producers, writers and hosts needing assistance getting a promotion or moving up to a larger market. We also work with college students looking to lock in a career before graduation, recent college and trade school graduates and business men and women hoping to change industries. We cater each service specifically to the needs of each individual client. This can include detailed notes on improving your reel, composing or rewriting resumes and cover letters, offering advice about various markets and the business in general, contacting news directors on your behalf and providing guidance on hair, make-up, wardrobe, voice technique and contract negotiations. We also work with t.v. stations and production companies providing feedback on prospective employees and improving the performance of current staff members, both on camera and off. We can work with individuals and corporations in person or online. MEDIA TRAINING – Whether you’re a business owner, someone starting a nonprofit or a political hopeful running for office, Halligan Entertainment & Media gives you not only the guidance and tips you need to shine on t.v., radio, the internet and in print but also a detailed, itemized breakdown of what YOU specifically need to work on to excel in the spotlight. We record mock on-camera interviews with clients and watch them back with you pointing out specific pros and cons in a constructive way. ACTING – Halligan Entertainment & Media also coaches actors for upcoming auditions to greatly improve your chances of getting a callback and ultimately, the job. If you live in Orange County, this can save you a lot of time not having to drive to Los Angeles for coaching. If you live farther away, video conferencing is available. We do not offer acting classes. Instead, we offer individual coaching and create audition technique workshops for children and young adults. These workshops are designed for artists, who are already auditioning, already have an agent or are ready to take that next step in their career. We recommend taking an acting class elsewhere and hiring Halligan Entertainment & Media as a complement to the other training. PRICING – Each individual, business or organization has different goals, so we tailor our services to each client’s needs and budget. Call or email us and let us know what you have in mind, and we’ll be happy to quote you a price. No matter how big or small your project is, we give you the experience, expertise and excellence you deserve. Copyright © 2015 Halligan Entertainment - All rights reserved.